Kyle Dennis runs a bunch of other stock alerts services including FDA Insider, Biotech Breakouts, The Sniper Report and his complete Black Optics Nucleus package. I am an active member of these services and I love his trade alerts, watch lists and ideas. Today I wanted to share with you my first successful trade from Kyle Dennis Lightning Alerts. Kyle Dennis named this service Lightning Alerts because these are FAST moving trades! The trade alerts so far have been incredibly fast-moving winning trades! Click here to signup for free biotech stock tips and learn more about the Lightning alerts service. This led me to do my own due diligence on the stock. I purchased it at $0.9 cents and this thing just blew up! It went up 100% in one DAY. BOOM! 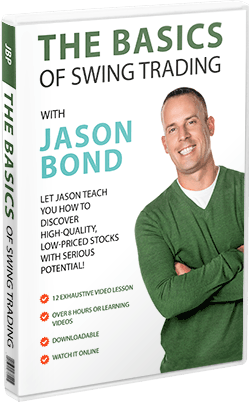 I have had 100% winners from my swing trading strategy but never ever in a single day. Totally ridiculously brilliant alerts service!!! Here is the daily chart from $MOSY (below). Not bad for a single day right? I did sell my shares because you can see that this stock has a history of not holding its gains. Always take profits when you can! $MOSY is by no means the only stock pick that has skyrocketed – Kyle Dennis does this over and over again! Keith Kern helped to run the Lightning Alerts service in Kyle’s program. Keith Kern is a veteran trader of over 17 years of active trading in the stock market. Keith Kern is well known as a lightning fast day trader with fantastic risk management skills. I have been very impressed with Keith Kern and his down-to-earth trading style. I recently wrote a review all about his new stock alerts and educational service called Traderz Toolbox. 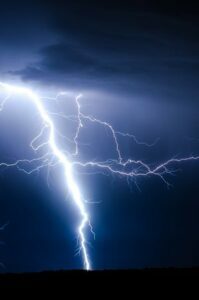 As of the start of 2019, the Lightning Alerts are part of Keith Kerns Traderz Toolbox service – Kyle Dennis no longer sells a service called Lightning Alerts. Keith has basically spun his company out of Kyle’s Biotech Breakouts service and they no longer seem to be working together. Why Try Keith Kern Lightning Alerts? Keith Kern has been trading the markets for two decades and by subscribing to Traderz Toolbox, you get watch lists send directly to you of his favorite stocks to trade. This can be a massive advantage for finding the stocks that are most likely to make you massive profits as quickly as possible. Keith gives you all the reports and due diligence that he performs so that you can understand the potential trade. There is no BS in this service! Traderz Toolbox Lightning Alerts are sent to you BEFORE Keith takes a position so that you can get in at a better price than him. This is pretty cool because the number 1 complaint that people have about these stock alerts services is that it is too hard to mirror the gurus trades. The only other person that I have found that does this is Jason Bond (he tells you what he will buy and at what price BEFORE her does it). The Lightning Alerts are day trades. These can be extremely lucrative because they allow you to compound your gains very quickly. I think for the price of $99 per month then this is a fantastic day trading service. to see if it might be the better choice for your trading style. 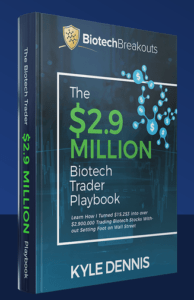 I hope that you take action and at least Click here to signup for Kyle Dennis’s FREE biotech stock tips. You can learn more about the Lightning Alerts service that is now run by Traderz Toolbox by clicking here (be sure to find the free stock tips and signup for them!). Keith Kern and Kyle Dennis have both impressed me over the last few years – hopefully you can check them out and see if they can help your trading as well. Keith Kerns Traderz Toolbox service offers several great trading educational services that are very reasonably priced. The Lightning Alerts service is probably the best choice for day traders but his swing trade alerts and options trading are also really good and worth a look.